Here’s Jonathan Franzen on what’s wrong with the modern world. You’ll have to read this twice, or, at least, I will have to (and intend to). I’m wary of what a playwright friend calls “old poopism,” and Franzen, a novelist I admire tremendously, does come across here as an old poop. Whether or not we have the time to read impenetrable writers like Karl Kraus (of whom I’d never heard, even after reading I think five biographies of Franz Kafka), we have little or no access to his writing or his ideas. Or, at least, we never did — until the Internet, which is one of those pesky new-world developments Franzen seems to be deploring. Culturally, here’s where I most often hear old poopism, and no, it isn’t with regard to technology. Most of the people I come across all over the country embrace technology; those who don’t, want to but don’t know how to. I have a friend who is 84 and exceedingly interesting (he went from the CIA into real estate, and then Democratic politics; there is some joke waiting to be made there); another friend and I were trying to teach him how to text when we were all out of town together, and then discovered his shortfall: an ancient cellphone with all the computing power of an Etch-a-Sketch that turned texting into a hard-fought endeavor. He hasn’t gotten a smartphone yet (Ken, are you listening? ), but he’s a regular on Facebook and email. My mother, at age 88, wishes she could understand some of these things, because she sees the benefits — long-distance interaction with relatives that includes more than just a phone call. So, again, whether it’s with clients or friends or relatives or colleagues, I don’t see any resistance to technology. No, it’s music where I see it. If I hear one more person proclaim the musical superiority of the ’60s or ’70s, I’m going to throw up. Because never before in the history of humankind have we had so much access to so much music, a lot of it really really good. I could point you to some current musical favorites — and, in fact, I will. TV on the Radio is a terrific rock n’ roll band, one that acknowledges the past of straight-ahead rock n’ roll while bringing into play harmonic inventiveness and studio wizardry and the sort of oddball sounds and buzzes that to my ear always lend an extra dimension. Danger Mouse, whether recording with Gnarls Barkley or Broken Bells or on any of his innumerable other projects, is perhaps the foremost production talent since Brian Eno. Like Eno, Danger Mouse brings a distinctive sound and a sharp intelligence to everything he touches; unlike Eno, he can also play guitar, and drums, and keyboard, and bass — as I witnessed when I saw Broken Bells in concert two years ago. Gnarls Barkley especially shows that he, partnered with Cee-lo Green, can effortlessly summon up the best of Motown and make it fresh and danceable. Finally, I’m smitten with Of Mountains and Men, a merry alt-folk group from Iceland. Their sound is cheery and pours out of the radio like a perfect poolside cocktail. I could go on — I like AWOL Nation and Polica as well, to name just two more — but I take the time to make this point because I guarantee you most people you run into over 35 are expressing their belief that music was somehow “better” as recently as… their early 20s. And it wasn’t. It just had a different emotional impact for them because they were in their early 20s. It is that way with technology (see Franzen, above, who seems to be extolling the virtues of the 19th century equivalent of a German literary fanzine) and it is that way with politics, and it is that way with culture. Here’s my feeling: The past is past, and it isn’t coming back. One thing we know for sure about the past is this: No one lives there any more. If you’d like to shape the future, in your daily life or in the world, it’s better to make a clear-eyed assessment of its potential rather than to knee-jerk reject it for a prior era you’re romanticizing. The headline on the LATimes.com site reads: Body found in burning car on 10 Freeway onramp. Which triggered this thought: burning airlines give you so much more. Y’know, I’m second to no one in my admiration for Brian Eno’s artistic talents, both musical and visual, but to imply in some way that on his new album he’s created a new form is, well, too much. He’s not the first to approach spoken word as though it’s musical, or to match it with music. I can’t imagine what this “new way” might mean, given: Steve Reich’s Come Out (1966), Gil Scott-Heron’s The Revolution Will Not be Televised (1971), or, well, my own stuff, which I recorded six years ago or so and will one day get around to putting up on iTunes. These are all examples of spoken word (poetry) set against music. Eno’s new album is spoken word (poetry) set against music. How revolutionary. Free music — act now. NPR is offering streaming of a number of new releases. Regular readers of this blog will understand why I’ve selected the one I have. 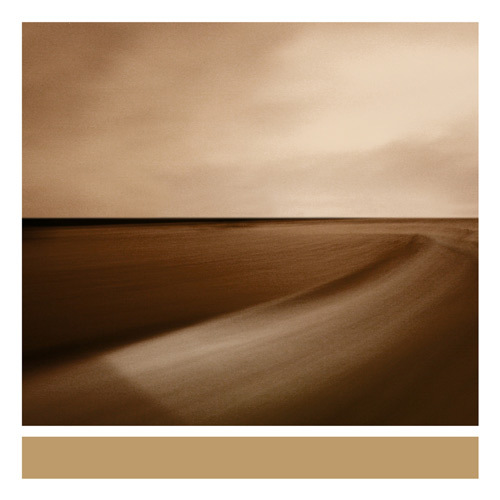 Here’s the place to hear the entirety of Brian Eno’s new disk, “Small Craft on a Milk Sea.” (So far it sounds like outtakes from the soundtrack to Myst. And yes, I bought the soundtrack to Myst forever ago.) Fair warning: This particular small craft will be available to you only until November 2nd, when the disk goes on sale (and free streaming thus ends). Brian Eno’s new album, Small Craft on a Milk Sea, comes out November 2. More information on the album can be found here. If you’d like to hear the advance released track “2 Forms of Anger,” click below. Sad news for my wife: I can’t get enough of this. I will try not to play it when she’s home or in my car with me. Generally, my Christmas wish list consists of two things: books and music. This year was no different, and left me with an unforeseen bonanza. I also put one music CD on my list, Some Girls by the Rolling Stones. I’m not a fan of those rolling fellows, but I did remember liking that album, which I had in its original lawsuit version 30 years ago. Because my new car links with my iPhone, allowing the stereo to play whatever music I’ve imported, I’ve been thinking about music I’d like to hear in the car, and recently I thought of this album, which I never bought on CD. So I put it on my list. and lots of other things that interest me. Soon I had towering stacks of CDs that I wanted to put on my laptop for possible transfer to my iPhone. But of course, here’s what happened: Where just an hour before I’d had one new CD, Some Girls, to import and enjoy, now I had, potentially hundreds. One new CD was special, a few would have been novel, but 300 were overwhelming. Worse, they robbed each other of their distinctiveness. By the time I had imported just a few of the CDs, I was looking through to see what to cut: Suddenly, these R.E.M.disks didn’t look like their finest worksongs, the idea of importing three Nine Inch Nails CDs really made me hurt, and I almost said nevermind to a Nirvana disk I somehow didn’t have. After importing 15 or 20 disks, I looked at what was left and decided I’d pick five — and no more — put them on my laptop, and from there, put what of those I wanted onto my iPhone, and then return to the real world. Because if I didn’t winnow all these down to something manageable, this would wind up becoming another project, and that’s something I don’t need any more of. So, a couple of hours later, I packed all the CDs back away and was finished with the ordeal of too much new music and was just about to shut down my laptop when I saw one last CD — the one I’d asked for for Christmas. Brand new and almost forgotten. So I imported one more CD, and thought it sounded pretty good. Brian Eno? There’s an app for that. 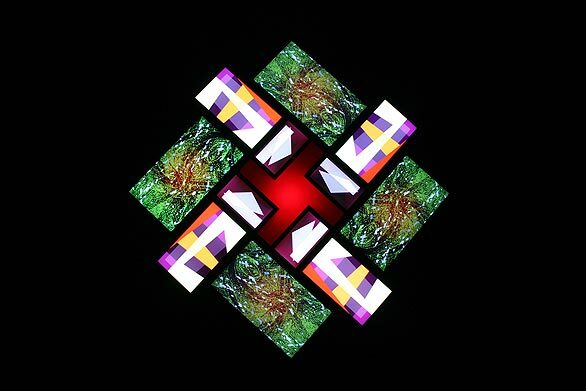 Two months ago I wrote about Brian Eno’s work with music and art generated randomly by computers. At that time, “Bloom,” his iPhone app that allows one to do similar work on a small scale (and on a smaller screen: your iPhone), had been out for a while and was a hot download from the App Store. Eno mentioned that the next iteration, “Trope,” had been released on iTunes that weekend, but what he failed to mention (or did not know) was that it was available on the U.K. iTunes, but not on the U.S.
At some point since then, it’s been released here. And so, here’s a brief video that shows the application in action. I haven’t downloaded this yet, but I probably will. How much iPhone “Risk” can one play before needing something new to play with? Moreover, I remain mesmerized with Eno’s work all of which, to credit Rich Roesberg with the point, descends from John Cage. What’s remarkable here is the degree to which smartphones are revolutionizing our work, our play, and our lives. This tiny device smaller than my hand has most of the technological power I so desperately craved when I was 12: the power to write, or draw, or record, and then distribute that artistic creation freely anywhere in the world. No one younger than 40 can imagine what it was like for homegrown artists 35 years ago to have to choose between the bad options of hand copying, mimeograph, carbon paper, or 25-cents-a-page Xerox copying. None of them was suitable. Yesterday a friend and I went to Long Beach to see the Brian Eno installation, “77 Million Paintings,” at the University Art Museum of California State University Long Beach. The genesis of the 77 million paintings enumerated in the title — which, Eno later said during his lecture, would actually be 77 million cubed — is described well in this piece by the LA Times’ Reed Johnson. 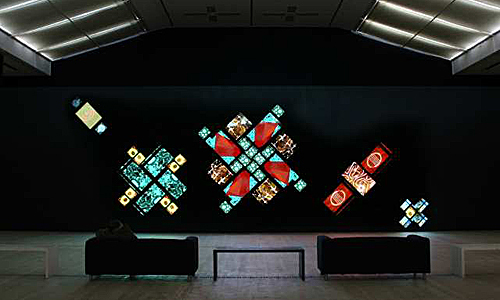 In short, a video mosaic of 12 individual screens pulls images randomly from grouped sets contained in databases held by three different computers, generating an ongoing series of freshly executed video “paintings,” which are sonically supported by a soundtrack of sound loops on six separate tape decks, resulting in randomized musical accompaniment. The intention is to remove deliberation and intention from the artistic process; the result is mesmerizing. As my friend and I found, it was quite easy to get lost in the neverending self-generating inventions of the computers and the tape decks. For one brief period, I felt detached from space and time. I’ve had this feeling before with some art, in various disciplines, but only rarely. Later, we attended Eno’s lecture at the Carpenter Performing Arts Center (also part of Cal State Long Beach). After 30 years of following the man’s career in all its phases — rock star, record producer, artist, writer, thinker — this was our first chance to see him in the flesh. Eno proved to be thoughtful, puckish, droll, and concerned, in equal measures. I would characterize the first third of his lecture as an admonishment to let go. (This should be expected from an artist whose visual work is created largely from computer generation.) He started by reminding us of something we’ve known for 566 years, since Copernicus: that not only we are not at the center of the universe, we are off in a small corner, in one of a billion billion solar systems, and we exist as only one of innumerable species just on this one planet, where only an estimated 10% of species have been cataloged. In other words, Get over yourself. Again, this viewpoint should be expected from someone extolling the virtues of random, unemotionally generated, art. On the way home I wondered aloud how well these theories that can work so well in visual art and music would work in long-form narrative. Having read (or tried to read) Samuel Beckett’s novels and some of William S. Burroughs’ longer pieces, I unfortunately believe I know too well. In such cases, even a little plot can go a long way. Organic writing — which I practice and preach — benefits from pruning and shaping. Effects can engage an audience, but only for so long; the best effect is an emotional verisimilitude, however achieved, that transports people into a deep level of caring about what happens. That occurs in better productions of “Waiting for Godot” because Didi and Gogo are present and we can relate; it never happens with “The Unnameable,” which is a true chore to read. When he’s collaborating with, say, Robert Fripp, Eno is free to produce an album of electronic feedback loops, but when he’s producing records for U2 or Coldplay, he must serve the song. To his immense credit, he never claimed in this talk that he was abandoning all oversight; rather, he talked about intentional balance, moderating oneself along the continuum between surrendering all control, or controling all elements, depending upon the desired outcome. I think that’s about right. If you’re interested in “77 Million Paintings” and cannot make it to Long Beach, where it runs through December, here’s some good news: a beautiful software-and-DVD version exists. Here it is on Amazon.com. I bought a copy at the museum, and at about 35 bucks, it’s a steal. The package includes the software to run these self-generating images on your computer, with accompanying soundtrack. In addition, there’s a beautiful booklet with notes from the artist, plus an interview DVD. Get it and surrender all control to it. You are currently browsing the archives for the Eno, Brian category.